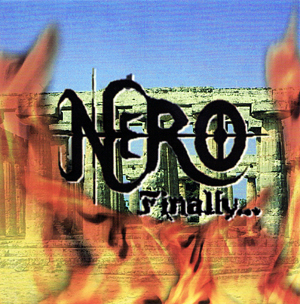 Nero had started in 1996. At that point I had been playing guitar for many years so I decided to try to put together a band. I met a drummer and showed him the material I had been working on and he was interested in giving it a go. We put ads in the local paper trying to find the right mix of people and went through many auditions. Unfortunately Nero went through many incarnations. The good side is that I met and dealt with a lot of people and even formed a few lasting friendships. The bad side is that Nero never solidified to become a unified front. As always, musicians change and grow, we just happened to grow in different directions. All in all Nero was an excellent learning experience.